Gastro-intestinal conditions are amongst the most common to be seen in a GPs surgery, and are equally common in Acupuncture clinics. Broadly these conditions might be grouped as 1) Non serious digestive complaints that can often be treated with changes to diet, lifestyle, over the counter medication and alternative treatments such as acupuncture; and 2) Chronic gastro-intestinal conditions that have potentially serious implications for health and usually require medical supervision and intervention, alongside dietary changes and supportive therapies such as acupuncture. This article will take a broad look, in both western and Chinese medical terms, at two conditions falling into the second category, Ulcerative Colitis and Crohn’s, and the role that Acupuncture and diet can play in their treatment. Ulcerative Colitis, and Crohn’s are described as Inflammatory Bowel Disease (IBD), and their cause is an auto-immune disorder. They share several main symptoms inclduing diarrhea, constipation, fatigue, weight loss, blood and mucous in the stools, severe abdominal pain and cramps. They are treated with drugs appropriate to the degree of severity, including anti-inflammatories, steroids and auto-immune suppressants. However, not all patients respond to the same drugs, and finding the optimum drug for an individual involves a degree of trial and error. Of the two conditions, Crohn’s is considered the more serious. In severe IBD cases surgery may be necessary. People with milder versions of IBD may be able to manage their condition without drugs and will seek Acupuncture treatment only when they are experiencing a flare up and need support. Others may require support while they are waiting to try a different drug, and others still may find that in spite of being on the best drug for them and making dietary changes, their symptoms are still incompletely controlled. The symptoms we should expect to see in Acupuncture clinics will therefore vary in terms of nature and severity, although we will usually see milder versions of the main symptoms, and can expect to make good improvements to many of them, notably fatigue and diarrhea. A failure to respond well to Acupuncture treatment could be a due to a number of factors, including the severity of the condition; the number of times the patient is able to attend for treatment in a week (e.g. treatment dose); unresolved dietary and other lifestyle issues (such as smoking and stress); and, the possibility that medications themselves are contributing to the symptoms. For example, some of the side effects of Puri Nethol, which is used to treat both Ulcerative Colitis and Crohn’s, include diarrhea, fatigue and abdominal pain. Similarly, repeated treatment of intestinal infections with high doses of anti-biotics can cause nausea, loss of appetite, epigastric pain, abdominal cramps, diarrhea and weight loss. Therefore, for a number of reasons, Acupuncture practitioners need to be alert to the fact that patients may need to be referred back to their GP, Consultant or Dietician for review. Besides the main symptoms described above, as Traditional Chinese Medicine (TCM) practitioners we will also notice symptoms that are not normally associated with the condition by western medicine, or indeed by the patients themselves. 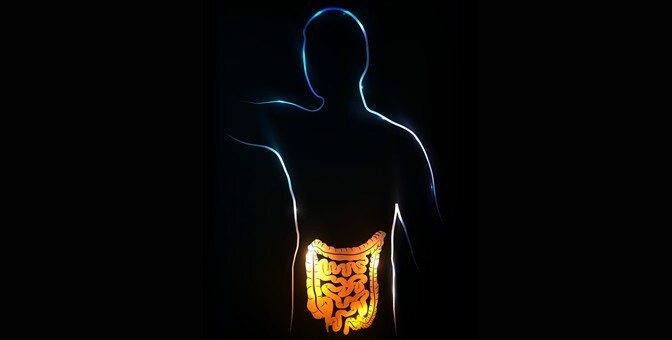 In other words, Chinese Medicine’s understanding of the patho-mechanisms involved with chronic gastrointestinal conditions recognises, and can treat, a wider range of signs and symptoms occurring in patients with IBD. For example, tooth grinding at night, skin conditions, facial redness and flushing, persistent cough and sinusitis can all be explained and treated by regulating ‘Yangming’ and ‘Taiyin’, two of the main Channels involved in gastro-intestinal complaints. Although research is limited, there is scientific evidence to support the use of Acupuncture to treat IBD. For example, a trial of 51 patients with Crohn’s disease were randomly assigned to two groups. Both groups received ten treatments over a four week period. The TCM group received points based on TCM pattern differentiation, plus moxibustion, while the control group received shallow sham acupuncture at non-acupuncture points without obtaining deqi. The outcome was measured by the Crohn’s Disease Activity Index which rates eight symptoms and signs such as diarrhea, abdominal pain, well-being and red blood cell count. The real acupuncture group showed a significantly greater benefit that persisted when all patients were reassessed after 16 weeks. At this stage the treatment group showed a significant improvement in al-acid glycoprotein, a marker of bowel inflammation (Presented at the ARRC Symposium, October 7th 2001). There is no evidence to suggest that food causes IBD, although many patients report their conditions are aggravated by certain foods and it is widely accepted that dietary changes can have an important role to play in symptom management. In mild-moderate cases such measures can make the difference between needing medication and being able to control the condition without help. However, in spite of the evidence to support dietary changes in the management of symptoms, Gastroenterologists treating IBD don’t automatically refer patients to Dieticians for dietary advice and supervision, and patients may have to seek this kind of support on their own initiative. Dietitians are increasingly likely to recommend the FODMAP diet, which restricts several food groups, because of growing recognition of its success in helping conditions like IBD and Irritable Bowel Syndrome. While certain foods are commonly cited as causes of aggravation, it is usually a matter of trial and error for each individual to establish their particular triggers. For example, some sources recommend porridge as being extremely beneficial for Crohn’s, and yet there are individuals who find it exacerbates inflammation and causes diarrhea. Equally, not everyone finds dairy, which is often cited as an aggravating factor in Ulcerative Colitis, to be problematic. Given the variations in severity of IBD, different food sensitivities, and the general lack of consensus about diet and nutrition, it can be difficult for Acupuncturists to offer advice to patients based on TCM’s theory of Food Energetics. All too easily it could add yet another confusing layer of information to an already crowded arena. Nonetheless, the basic principles have withstood the test of time, and TCM practitioners can consider offering their patients broad indications of what may suit their constitutional type, pattern of disharmony, and the season. Interestingly, some western theories about diet and nutrition seem to have been shifting towards TCM principles for several years. In terms of cookery, there is more emphasis on eating foods that are in season and cooking them appropriately, while dietary health advice appears to be shifting its focus from ‘low fat’ diets to ‘right kind of fats, with low red meat, sugar and dairy’, all of which is consistent with TCM advice, especially for people said to have a weak Spleen. In fact, some of this health advice originates from studies about the diet and lifestyle of rural Chinese people over a period of 20 years, which concluded that many of the major diseases affecting western society can be reversed or managed with dietary changes based on the diet of the rural Chinese (see http://en.wikipedia.org/wiki/The_China_Study and http://www.irishtimes.com/life-and-style/health-family/my-health-experience-i-stopped-eating-the-wrong-foods-and-was-astonished-by-the-results-1.1728320?page=2). In practice, however, it is still advisable to suggest that patients with more severe gastro-intestinal conditions see a Dietician, not least because the elimination of food groups like dairy products has implications for calcium levels and bone density, and obtaining professional advice on alternative calcium sources is essential. Likewise, anaemia can become an issue because the high fiber content of green vegetables exacerbates symptoms in some people. Patients can therefore struggle to obtain sufficient iron and other essential minerals and vitamins without proper dietary supervision and advice. Crohn’s and joint pain: A 36 year old male sought treatment for low back and hip joint pain and stiffness, associated with his Crohn’s (a condition called Sacroiilitis). The patient was taking pain killers at the time of presenting to clinic and rated his pain as being 6/6 (6 being worst, zero being pain free) without medication, and 3/6 while taking painkillers. The patient’s spine and hips were examined. Palpation of the Du Channel revealed pronounced tenderness on Du19 and a series of rice grain sized ‘bubbles’ under the skin at lumber vertebrae 1-5. The condition was diagnosed as obstruction of Qi and Blood in the Du channel. Treatment involved Du19 with a special needling technique and 5 one-cun needles threaded under the skin on top of the spinous processes of L1-5. After one treatment the patient’s pain and stiffness were almost gone, and with a further treatment they were completely resolved. Colitis and Tooth Grinding at night: A 43 year old male sought treatment for pain in the teeth and jaws caused by teeth grinding at night. The condition had been ongoing for several years, and they had been advised by their dentist to wear a gum shield to avoid damaging their teeth. Neither the dentist nor patient’s doctor could establish a reason for the grinding, although stress was suggested. When he presented for treatment of his tooth and jaw pain the patient recounted that he had suffered from colitis for over 20 years, but had recently ceased taking steroids owing to side effects. After stopping the steroids the patient had sought help from a Kinesiologist who advised him to eliminate dairy from his diet. The patient’s symptoms of diarrhea and fatigue improved significantly within days of making this dietary change, although he still experienced fatigue and required a nap in the afternoons. The patient did not associate the tooth grinding and pain with his Ulcerative Colitis. The patient had a red complexion, pale tongue with thin cracks in the Stomach region, and a fine, deep pulse. Pronounced tenderness, ‘lumps’, ‘bubbles’ and areas of deficiency were found on both Yangming and Taiyin Channels. The condition presented as a mixture of Excess and Deficiency, so the first treatment bled Jingwell points at both ends of the Yangming channel to clear Excess Heat. The patient felt the pain worsened for a day after the first treatment, then began to improve. The treatment was repeated twice, by which time the tooth and jaw pain had disappeared. Later, other points were added to address the low energy. After 9 treatments in total the tooth grinding and pain had stopped, and the patient no longer experienced daily fatigue.